Blockchain technology really kicked off with the success of cryptocurrencies, although it was first described back in 1991. It is the platform that is behind Bitcoin’s success story. “Blockchain” has become a household word for the IT sector, but more and more entrepreneurs outside the industry are seeing the benefits of it. Once its upsides have become apparent, it is readily available to be used by anyone wise enough to implement it in their business operations. Therefore, banking is not the only industry that uses it today, as various startups are beginning to apply blockchain technology in their software. We have compiled a list of the most hip industries that blockchain has taken over; including examples of particular blockchain companies. 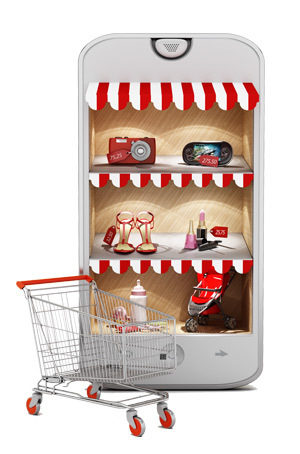 Currently, the online market for retail goods revolves around the virtual marketplaces. Websites such as Amazon or eBay convey a sense of security to their users, so blockchain technology is not needed there. However, startup blockchain companies in the retail industry are aiming to shift this balance towards the actual sellers and the middleman platforms. One such example is OpenBazaar, a program that connects you to other users via an internal network, enabling free trade of good in its purest form. Since the trade is direct C2C there are no fees or commissions involved. The trade is effectively decentralized which means that there is nobody controlling it, so there can be no censorship as with other shopping platforms. Basically, users are the ones in control and they have full responsibility, rather than a limiting shopping website as is the case nowadays. There is no proper, by the book way to advertise online. The industry of online marketing is still learning the ropes which can be quite chaotic from time to time. Users are spammed all the time with unwanted ads that do nothing but increase their mobile data usage. On the other hand, advertisers and their customers are left without clear parameters of the impact their ads have. 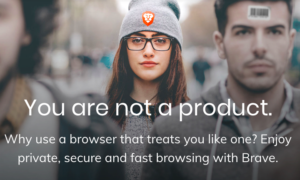 That is why a San Francisco based startup Brave Software stepped up with their ad-smart browser. Not only does it load pages much faster than conventional browsers, but it blocks all unwanted ads and trackers that annoy users. Instead, they receive only the relevant info as mediator platforms such as Facebook or Google are cut out of the picture. Since the browser is responsible for the better targeting of ads, people who pay for them get better figures on how well their ads are performing. Companies such as Uber have already caused an upset in the transportation industry. However, their online method of connection between the driver and the passenger uses a centralized app. Essentially, what taxi companies were offline, Uber has become online: one big controlling authority. Arcade City is a startup-oriented towards peer-to-peer everything, from social networks to ride-sharing. Although drivers still have to use the app to get in touch with potential clients, they are free to set their own rates. This is particularly appealing to professional drivers who are looking into starting a business of their own. 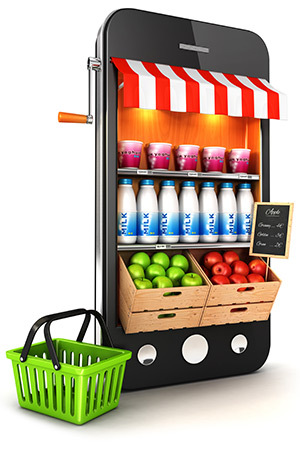 With the help of Arcade City, they can not only set the price on their own but expand the range of their services, adding delivery or cargo options, for example. By doing so, over time they build up their own network of clients. There are millions of doctors and medical workers worldwide. If they had the possibility to somehow connect that would be ideal for patients. But the sad truth is that even two different wards at any given hospital have trouble communicating. Sharing information is much needed in healthcare and blockchain technology can solve this issue. Sharing info across platforms enables more accurate diagnoses to be made and it is more likely that medical treatments would yield results. Countless startups have essayed the healthcare industry but we will only give the example of Gem. It’s an all-encompassing cryptocurrency platform that recently partnered up with Philips to develop an individual’s treatment plan that would include their medical records, visits to doctors, claims, payments, pharmacy and everything else concerning their healthcare. Those who are passionate about blockchain technology never fail to point out its “democratic” nature, since anyone can take part in the chain and share the profit. Perhaps blockchain technology can be used in the democratic systems of today as well. In any election, voters have to be identified, their votes have to be counted and recorded. It is an elaborate process full of room for malversation. This is where blockchain technology steps in. It allows the will of the people to be counted down to each and every vote, as well as eliminating the window for possible fraud and dishonest doings. A vote can be regarded as a single transaction, for instance in the case of a cryptocurrency, so it cannot be altered in any way without disrupting the hashes. This is the concept that Follow my Vote uses by providing an end-to-end voting platform that promises to reform democracy for all times. This “online voting platform of the future” developed by a young startup from Virginia will one day eradicate voting ill-doings and wrong counts for good. Cloud storage was a hit when it first appeared, but the system is not bulletproof. Since companies store user data in centralized servers, this means that cloud storage has central points of failure that make the whole system vulnerable. A Californian startup, Protocol Labs, combats this weakness of cloud storage by using blockchain technology. Their project Filecoin effectively decentralizes the whole storing process utilizing blockchain’s feature of hashes that make it virtually impossible for hackers to hijack all the blocks. This is especially true for large cloud storages which number millions of unique blocks, whose chain is hard to break. Blockchain technology allows one user to sell to another user their CPU capacity. Much like power companies trade electricity, individual users use blockchain to share computing power. The most famous project of this sort is Golem, a Polish startup that enables users to get tokens for renting out their computing potential. In the long run, enthusiastic projects like these have the power to create a global supercomputer that would, in theory, use CPU’s of all internet users on the planet. Something like Ethereum, but on a much larger scale. The internet of today may prove to be a place where it is hard to prove your real identity. Countless apps use your personal data, but there is no central storage that can make it easily available. Civic is just one startup that is aiming to enhance this. Their Secure Identity Ecosystem is giving businesses and individuals an opportunity to confirm and protect their real identity online. It functions as a digital wallet, bridging your physical and cyber credentials. This voluntary exchange of data over time builds trust between different users within the blockchain. Major IT players are trying to develop a solution that could compete with Internet of Things. So far, a large and rather bulksome central hub is needed to communicate between IoT members. This is something that could change in the future as blockchain technology offers to supplant this centralized communication method by introducing peer-to-peer transfer of data. Devices could communicate directly to each other autonomously, sharing program updates or fixing bugs. Filament is Reno, Nevada based startup that specialized in improving industrial IoT. They offer all sort of businesses to connect their devices and machines using blockchain technology. This includes features such as device-to-blockchain transactions, data sharing, gated access control, and monetization. By using long-range wireless networks, their clients get a chance to connect and monitor their assets. In most countries around the world, energy production and management is carried out by large national companies. Regardless whether they are state or privately owned, the energy market is going to be heavily monopolized. The essence of blockchain technology is precisely the opposite. It threatens to shake up even the energy market where in some cases, government-owned companies have been running the show for nearly a century. LO3 Energy is an energy technology company operating from Brooklyn that is a joint venture of several companies and private investors, including Siemens. They claim that their Ethereum-based blockchain technology is “the future of energy” since it reverses the current roles. End-consumers can use cryptocurrencies not only to buy but to generate, trade, and sell power in the already existing legacy grid. 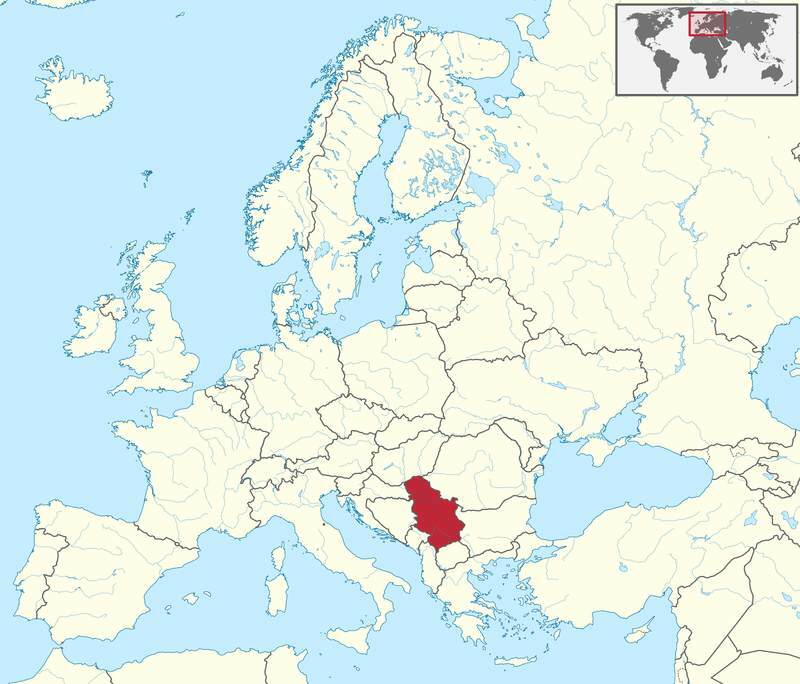 So far this peer-to-peer network functions only locally, but it has the potential one day to grow into a regional, if not a national project. Although it’s a billion dollar industry, real estate business has numerous shortcomings. 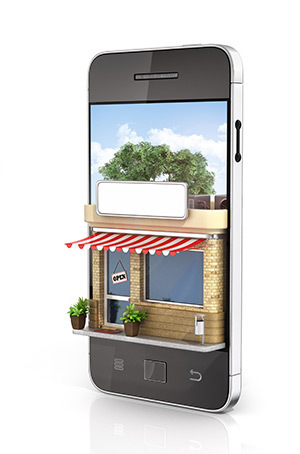 In most cases, it requires realtors and their clients to interact with governmental offices. This means only one thing: paperwork and loads of it. This slows down the process of buying and selling, and makes public records susceptible to errors which are not uncommon. Another issue are frauds that are made possible by the lack of transparency. All in all, the real estate industry is ripe for a change. This is where blockchain technology steps in. For once, it is not corrupt, nor can it lose any document that easy. It can, therefore, be used for recording and transferring of deeds and land titles. A Delaware startup called Ubitquity designed just such a platform intended for real estate and mortgage companies. It vows to improve titles recordkeeping by implementing a search module and full transparency. It is currently in talks with several national land records to enhance their day-to-day operations. One of the most prominent features of blockchain technology is its ability to keep track of monetary transaction in a transparent and secure manner. This ability to monitor is precisely what is needed in the supply industry which basically functions as one big chain. From first click the buyer makes to buy the product, all the way to the delivery itself, a whole series of nodes occurs. Blockchain technology is ideal for tracking, linking, and most importantly, recording all these transactions. This way, delays are decreased to a minimum, as well human errors that might slow down the entire process. An e-commerce platform called Provenance is a project developed by several London startups. Their app allows its users to buy merchandise from one another, all the while building up trust in this form of e-commerce. It is intended for all groups of people who make up a supply chain: the retailers, the producers, and the shoppers. It builds the aforementioned trust as it allows access to information about origin, journey, and impact a single product makes, regardless if it’s a can of sardines or a pair of jeans. Billions today enjoy music and music videos. The problem with the music industry is whether the performers and the creators are getting their fair share of the industry’s profits. Blockchain technology could enable them in the future to sign smart contracts that could track how much revenue they should get based on real-time purchases. 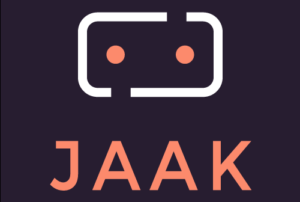 Another startup from London called JAAK has developed a platform and an operating system for creative content. They allow content owners to convert, sort to say, their repository of metadata and media into “smart content”. 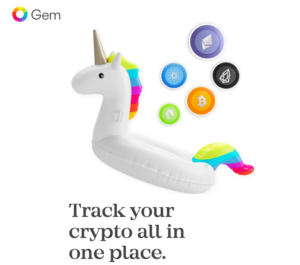 This content can then become tradable using Ethereum blockchain technology. Basically, this concept offers automatization to the entertainment industry on a scale never seen before. The publishing industry is a market that has its limitations. The readership is pretty much well-defined, so the existing publishers have already divided up the market, making it virtually impossible for new names to emerge outside their auspices. This is true for emerging publishing houses, authors, editors, and translators. Blockchain is a technology for the masses and one of its main advantages is that everyone can take part in any given industry, including publishing. They provide authors with a chance to have their manuscripts published independently on platforms supported by a wider community, so they no longer depend on the goodwill of major publishing houses. One such platform is Authorship, developed by a Hong Kong startup. Authors get a chance to publish their books for free here. Readers who opt to purchase them do so by using an Ethereum-based cryptocurrency called ATS. This way, the authors get as much as 90% of the royalties of each purchase. 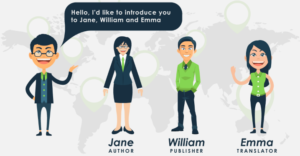 Not only do authors retain the authorship, but they have the chance to cooperate with translators and offer their books in other languages as well. Translators too get paid in ATS. Furthermore, editors can contact the bestselling authors, offering to print their books. Another area of life in which verisimilitude is of crucial importance is academia and education in general. Student records and diplomas are kept either in folders or stored in offline databases. This evident lack of networking leaves plenty of room for plagiarizers. Blockchain technology has the possibility to connect all the different databases as well as to speed up the process of verification and nostrification. This means it’s virtually impossible to tamper with students’ hard-earned academic credits. This is the vision behind the project run by a decade old startup Learning Machine which teamed up with governments, universities and various companies. They all now work together to secure official records that can be issued out easily and which are verifiable more easily because they are digital. An obvious candidate for the use of blockchain technology are governmental, municipal and other kinds of records available to the public. In many countries they are plagued by problems such as paper archives, corruption of officials, poor coordination between different authorities, and the inability to efficiently track down individual files. The good thing about blockchain technology is that it can be applied locally, or in the case of the United States, on state level. 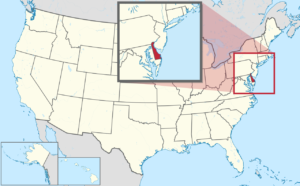 In Delaware, a Blockchain Initiative was launched in 2016 with the aim to improve the legal infrastructure and in general speed up all the operation carried out by public services. Both the citizens and the local economy will benefit from this project because they can direct their resources elsewhere, rather than deal with the public records office. Charity foundations are doing mankind a great service, but a small proportion of them are involved in foul play. People are discouraged from donating when cases of fraudulent charities reach the headlines. Blockchain technology works on rebuilding this trust as donations are basically transaction that can be tracked from the moment you click the “donate” button to the person and the exact time when they received it. With such transparency, there is practically no room left for ill-doings. No wonder then that Bitcoin has its own charity foundation called BitGive which operates from Sacramento, California. Their mission is to “vastly improve philanthropic impact with blockchain technology”. By this they mean improving public health services, schooling, and the environment worldwide. And who wouldn’t donate to them, knowing they have real-time financial transparency. As with the voting systems and the real estate industry, human resources have a perpetual need to have easily accessible and secure files. Traditional databases often fail to deliver the two, so blockchain technology could be the solution. It can speed up background checks for numerous employees, as well as the potential criminal records files. This can come in handy for jobs that often require new employees such are restaurants and hotels. 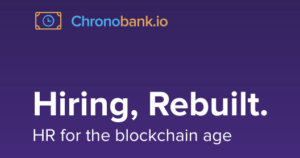 Chronobank was developed by an Australian startup with the aim to disrupt the traditional HR industry and introduce new standards. Advertised as an “HR for the blockchain age,” it was primarily designed for job seekers who are having trouble finding a job. By taking out the mediary, they have the possibility to directly apply for the fly jobs that constantly and urgently need staff. The app also covers pay, as the workers are paid by the hour using a cryptocurrency that is pegged to labor hours. Many world currencies are backed by a real-life commodities, such as gold. That is why national banks of various countries have gold bars tucked away safely in vaults. There is a new concept going around for a while that nation-backed cryptocurrencies can exist in much the same manner. This is true especially in those countries which are rich in resources, such as Russia with its natural gas reserves. A startup based project called BananaCoin might sound silly, but it has a potentially revolutionary concept behind it. People use cryptocurrencies to buy tokens which are pegged to the price of 1 kilogram of bananas on the international market. The founders wish to grow organic bananas on a farm in Laos and export them to China where the demand is high right now. The team behind BananaCoin have a sound real-life business idea that is backed by blockchain technology. You might have expected this industry to appear on our list. Essentially, the whole concept of banking goes well with the basic idea of blockchain. Both systems are mediary, i.e. they enable the end-user to acquire goods or services from a third party or another user. Banks operate with money and other banking products while blockchain uses blocks. The keyword for both is “transaction,” since these are the whole reason behind their existence. Banks themselves are also turning to blockchain technology to communicate among themselves and other financial institutions. R3 CEV is a consortium of leading world financial institutions which are collaborating to develop commercial platforms, such as Corda. This is blockchain platform that will become sort of an operating system for financial markets worldwide. Sport: the most unlikely place for blockchain to gain ground. Yet, one must admit that today’s professional sport is played for the masses! Fans have little say when it comes to money distribution. Sporting agencies and clubs are the middlemen in cash flow between the fans and the athletes. Blockchain technology intends to bridge this gap by making it possible for fans to directly be in charge of the funding of their favorite athletes. Jetcoin, developed by Jetcoin Institute, a startup from Singapore, is a cryptocurrency for sports. The idea is that fans invest online in their favorite athletes and have the possibility to profit from their later success. Not only is this a fun and profitable activity for the supporters, but athletes could benefit as well. They no longer need to be dependent on clubs and managers to boosts their careers. Jetcoins are still used only in semi-professional clubs, but the concept has the potential to skyrocket if a well-known sporting franchise decides to adopt it. The industries we listed here are just the tip of the iceberg when it comes to the application of blockchain technology in entrepreneurship. In essence, any startup whose product revolves around decentralization and giving users more autonomy could benefit from blockchain technology. Therefore, blockchain could very well be the game-changer your startup had long been searching for.